Thomas Hamilton Outlaw, age 68 of Troy died Monday, January 14, 2019 at his home surrounded by his loving family. Thomas was first and foremost a child of God. Other descriptions include a "legend", a jack of all trades who loved fixing things for his friends and neighbors. After teaching himself to work on and make computers he was called on by many people to do just that. Thomas went to Pike County High School and graduated from the Ozark Aviation College. He worked with Meeks Termite and took his first shift with the Troy Fire Department in December of 1981. 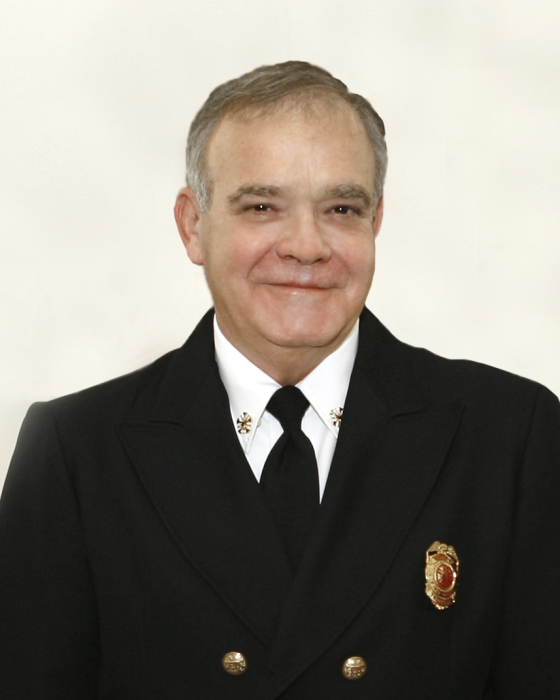 Rising up the ranks Thomas served as the Fire Chief for the City of Troy from 2007 until 2016. A funeral service for Thomas Outlaw will be held Friday, January 18, 2019 at 2:00 PM from the Park Memorial United Methodist Church with Reverend Danny Arnold and Reverend Elaine Brown officiating. There will be a one hour lie-in-state prior to the service at the church. Burial will follow in the Green Hills Memorial Park Cemetery . Visitation will be held Thursday, January 17, 2019 from 4:00 PM until 6:00 PM at Green Hills Funeral Home. His survivors include; his wife of 48 years, Rita Outlaw of Troy, Son and daughter-in-law, Paul and Angie Outlaw of Gant, daughters and sons-in-law, Kristie and Bill Reaves of Troy, Amanda and Kevin Folmar of Dothan, his grandchildren, Matthew (Carley) Corbin, Zachary Outlaw, Victoria Johnson, Libby Barnes, Gavin Barnes, Will Reaves, Alexis Reaves, Lilly Folmar, Annie Folmar, Macy Folmar and Drew Folmar, great grandchildren, Carter and Carys Corbin, his siblings, Joe (Annell) Outlaw, Linda (Truman) Hornsby, Bill Outlaw and Rita Faye Outlaw, also several very special nieces and nephew that he viewed as his other children as well as many other family members. Serving as pallbearers will be the Troy Fire Department Honor Guard and the Troy Fire Department will also be honorary pallbearers. Flowers will be accepted or memorials may be made to the Park Memorial United Methodist Church, 750 Elba Highway, Troy, Alabama 36079. The staff of Green Hills is honored to serve the Outlaw family.